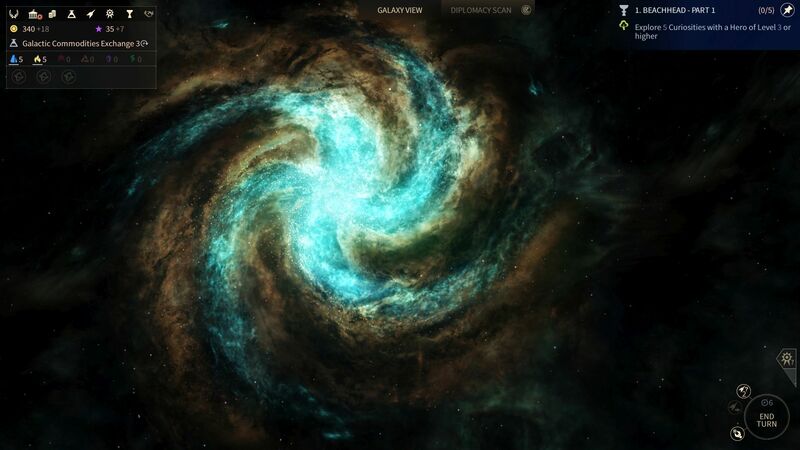 Endless Space 2. Developed by Amplitude Studios. Published by SEGA. 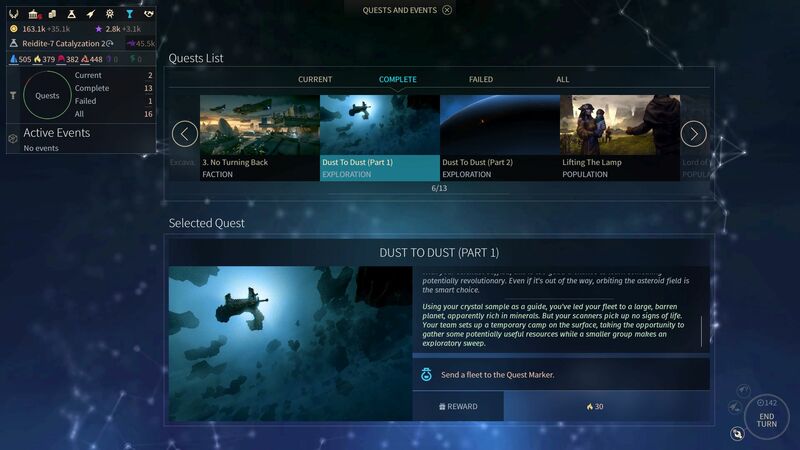 Available on PC. Review key provided by publisher. 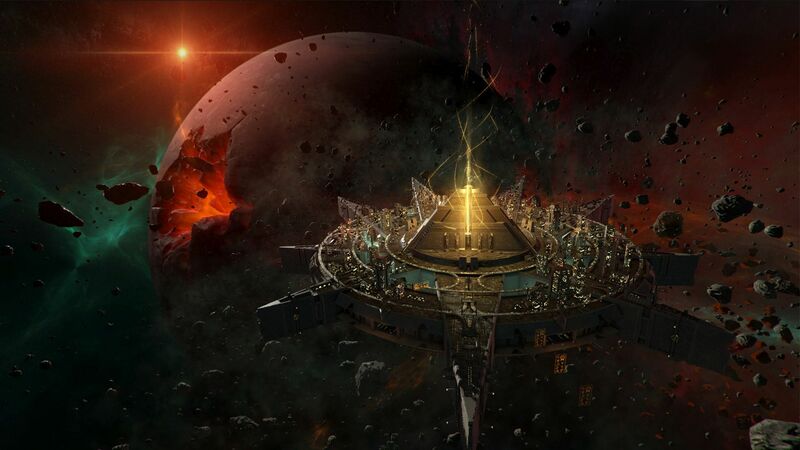 Endless Space was Amplitude Studios' first game, launched back in 2012. The sequel's been in Early Access on Steam for several months now, and it's primed for proper launch. 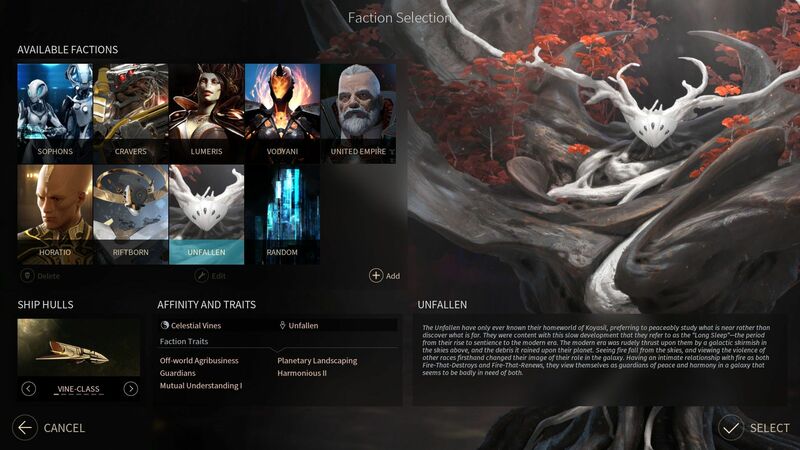 Endless Space 2, like its predecessor, is a 4x (eXplore, eXpand, eXploit, eXterminate) Space Strategy game, in which you lead a civilization into the stars, where you meet exotic races from distant galaxies, and then probably kill them, assuming they don't kill you first. There's only so many resources in the universe, and you can't always share. 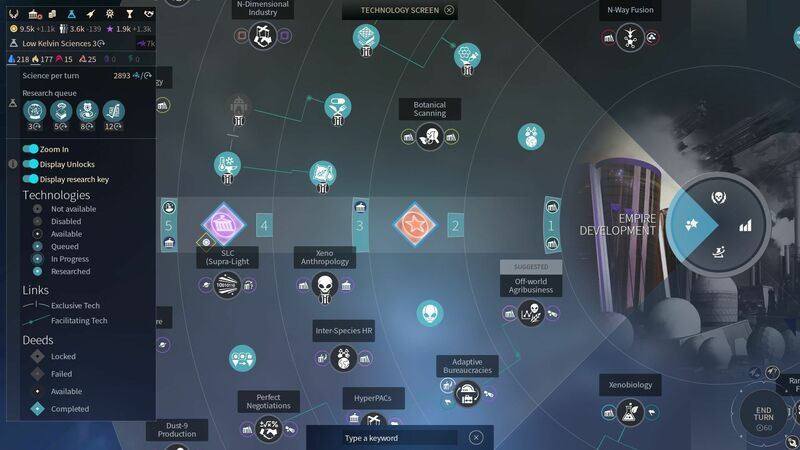 Detailing every system and mechanic in Endless Space 2 is more of a wiki-size effort, but it's got a lot in common with the broader 4x genre, even if it does a few things unconventionally. 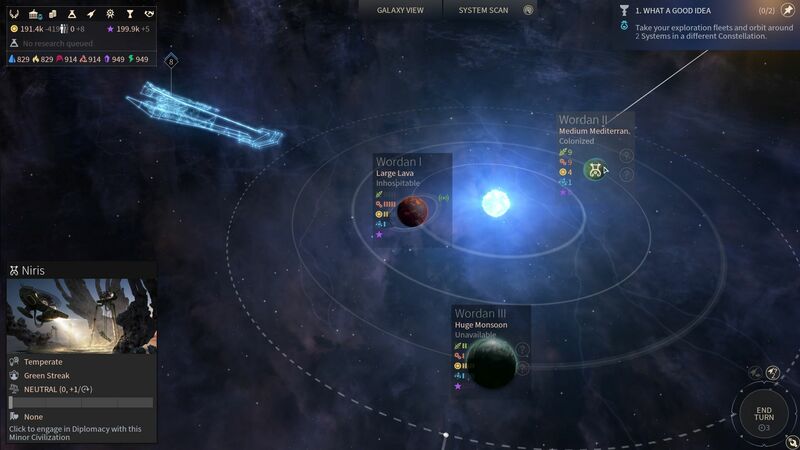 You eXplore the galaxy in search of habitable planets, which you colonize (eXpand) and develop (eXploit), until you find a planet you want that someone else own, in which case, you'll go to war (eXterminate). 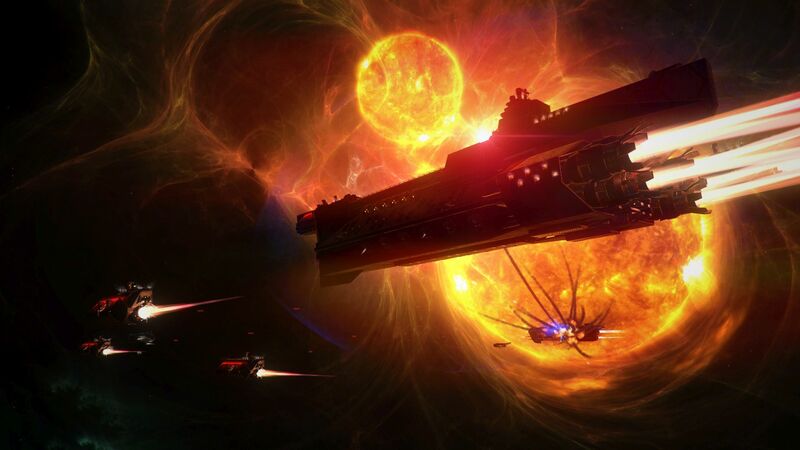 Endless Space 2(ES2)'s explorer units can launch probes into the fog of war, ignoring the movement paths, and discovering new systems or anomalies. I didn't realize this my first game, and was just wandering about in a closed collection of stars, until I noticed the function. 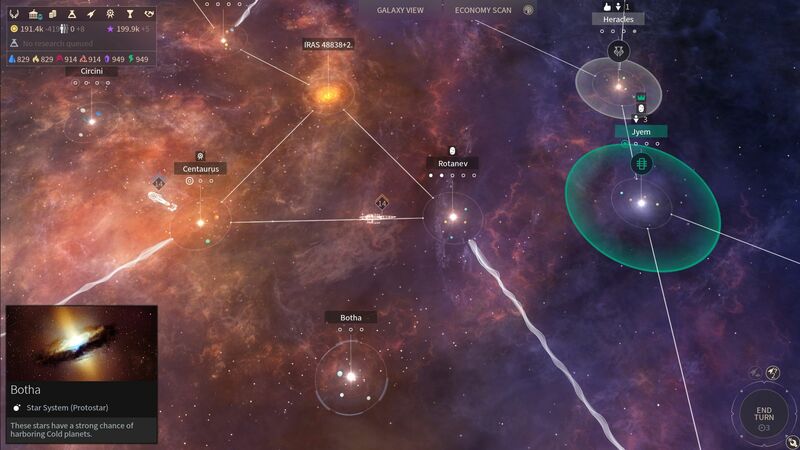 Exploration is typically a straightforward process on the semi-standard hex grid and navigation paths of 4x games. 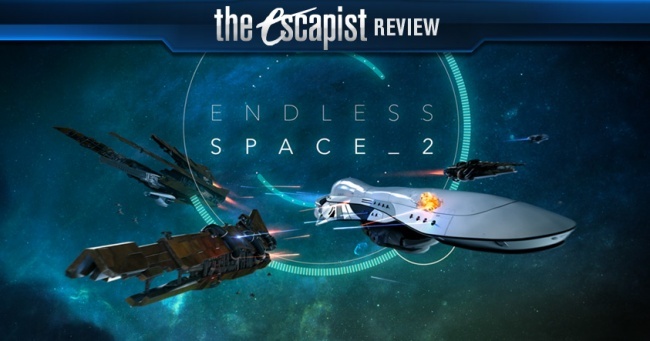 ES2 eschews these, mirroring the true emptiness of space, all too easy to forget in some games. As your probes flit into the void, they'll catch glimpses of systems in the periphery, and once you know the location, you'll be able to jump off the navigation path to scout it out. This is the first time I've seen this, and it adds significant depth, especially to the early and mid game. 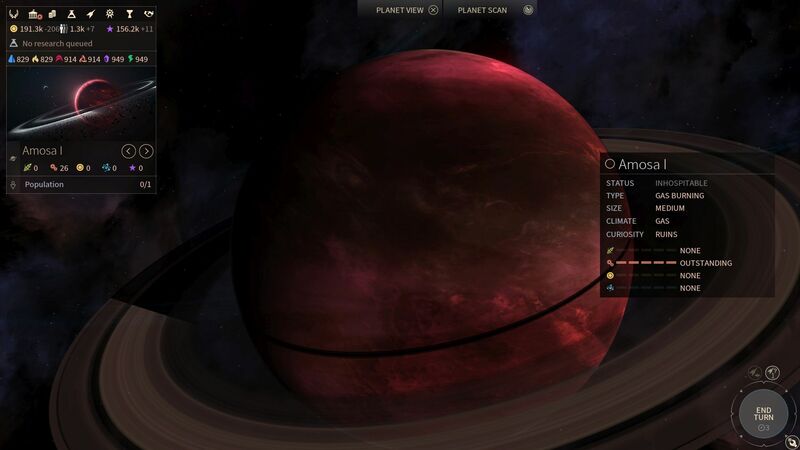 Exploration and colonization go hand in hand, of course, and ES2 creates an overlap with planet anomalies, which can be investigated by your explorer ship's probe or a colony in the system, even if it's on another planet. These wildcards are typically either a small cache or a lasting supply of a luxury or strategic resource. If you've got a colony and the technology, once you reveal the resource deposit, you'll harvest a small amount every turn. Colonies don't just turn up overnight, though, instead developing from an outpost over time, with colonists piling up each turn. Opponents can put a competing outpost in the same system, though, and the first to a colony wins, so you'll be able to spend Influence resource to help keep the edge over the opponent's outpost. 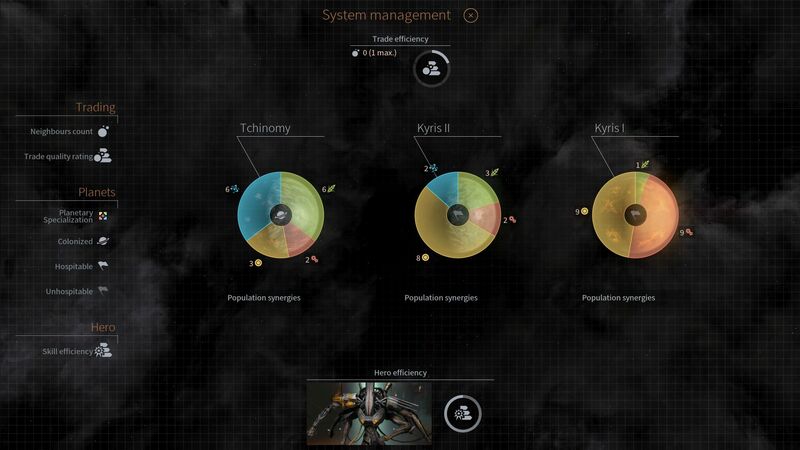 Once your colony is established, you'll be able to start development, which is done by system, rather than individual planets. Instead of sending multiple ships to colonize a single system, you'll just expand your colony to the other planets, as you develop your production infrastructure. 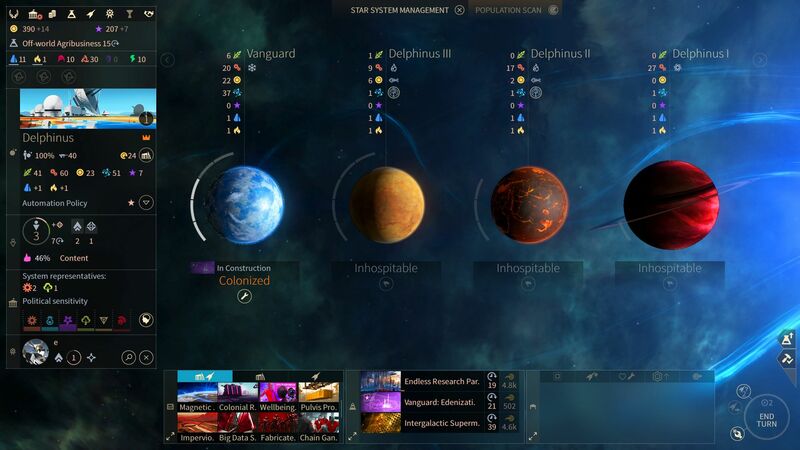 Planet characteristics play a huge role in what buildings you should create, and in some cases, you'll get little-to-no benefit from building a structure, if your planets don't match the criteria, like "Cold", or "Fertile". I tend to build all the available buildings whenever possible in games like this, but that's heavily penalized in ES2, enough to break me of a decades-long habit. This sort of subtle, game-changing factor shows up more than once, and can be a huge setback once you discover your error. Of course, one could theoretically just read things more carefully, but that's just a theory. The final "X" brings with it the combat system, which is unique for ES2 in my experience. Battles are fought automatically on trajectories determined by strategies that you select before the fight. 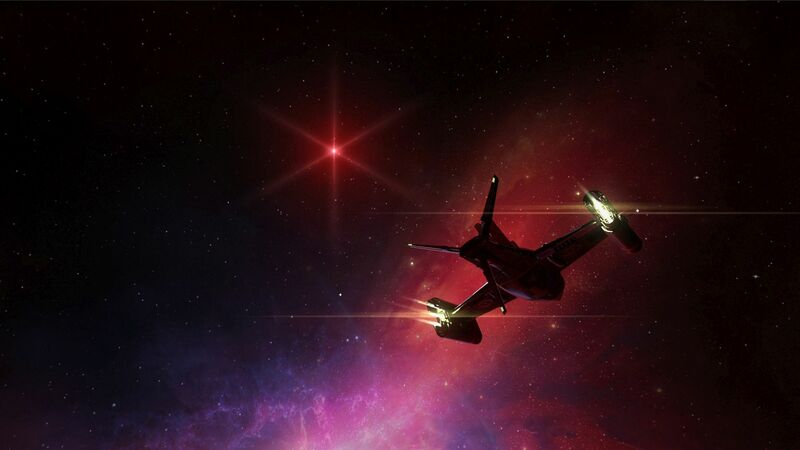 Your ship's weapons determine what your combat effectiveness is at different ranges, so powerful Plasma weapons only operate at short range, while missiles perform best at long range. 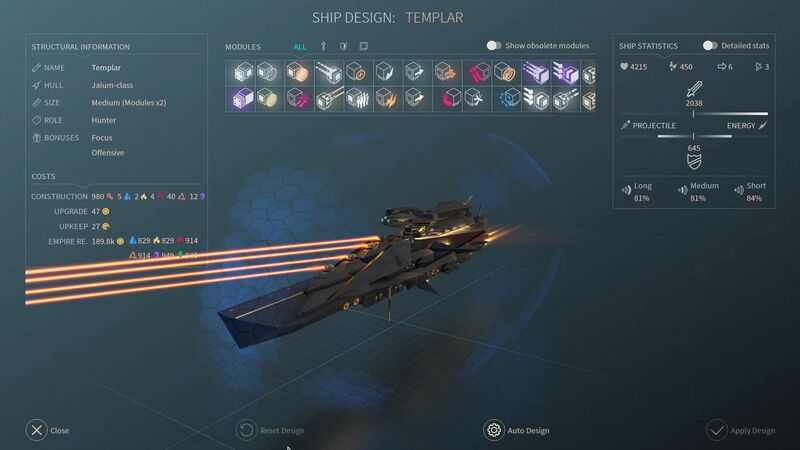 Once the combat trajectories are set, you can watch the fight, as the ships follow their respective paths, unleashing as much firepower as it can given the distance. Armor types interact with energy vs ballistic weapons differently, and can play a huge role as well. 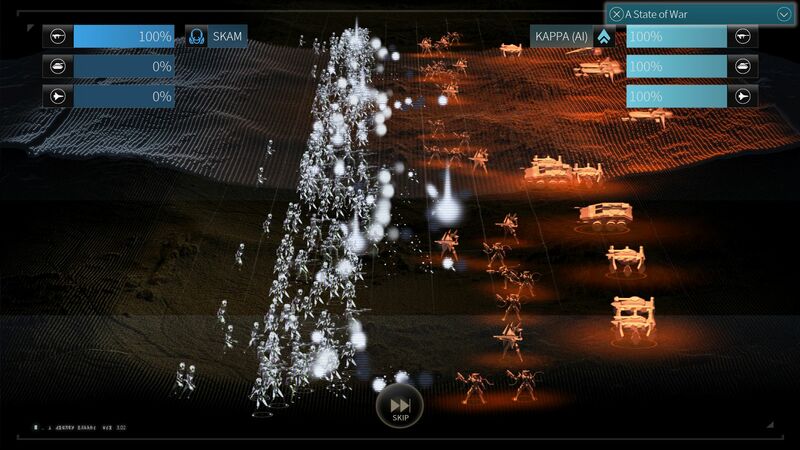 Ground combat is an incredibly similar system, though the strategies behave very differently with troops vs spaceships. 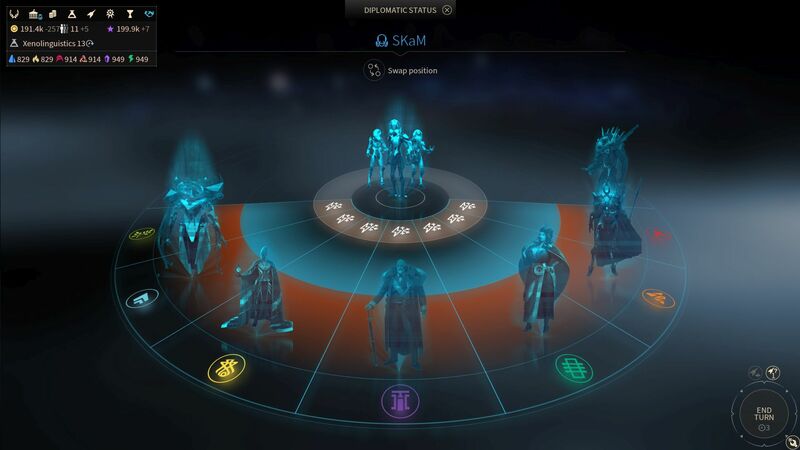 Bottom Line: Endless Space 2 doesn't sugarcoat the 4x experience, and it can be daunting when you realize that all 600 icons on the screen have a tooltip you need to read to make just this one decision. Despite all that complexity, none of it seems unnecessary, which means every one of those tooltips has essential information. 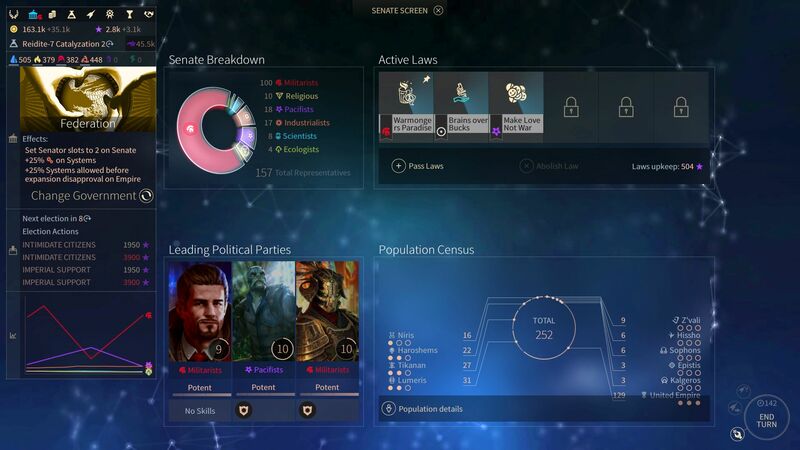 Recommendation: Endless Space 2 is not an entry-level 4x game, though an experienced strategy gamer will likely be able to pick it up readily enough. Serious strategists won't want to miss this, even if the learning curve is more of a sheer cliff face.